I have to start this review with an apology. “Jane Steele” takes place in mid-1800s England. It approximates the tone and dialogue of the times. Although I enjoy, and even quite admire, some books written during this time period (including “Jane Eyre,” upon which Lyndsay Faye dotes), I don’t often like this sort of facsimile book. Because of this prejudice, “Jane Steele” began with an uphill battle, but I was hopeful that this would be one of the exceptions. Yes and no. I quite enjoyed the plot, the action scenes at the end, and the comeuppance visited upon the dastardly villains within. (Oh, stop reading me right now!) On the other hand, I did find the facsimile language treacly and precious at times. But if you enjoy period romances, this should be a very good read for you. 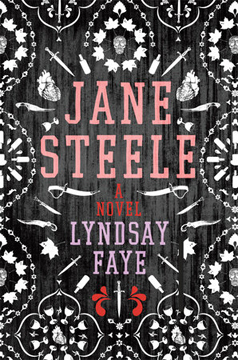 Drawing on Brontë and Dickens, Faye has created a series of disasters for Jane Steele to overcome. Initially, there is only a pall hanging over the question of Jane’s patrimony. Her father is long dead, her mother is odd and drug-addled. They are living on an estate belonging to her father’s family, or so she is told. Her aunt lives in the mansion, Jane and her mother live in a cottage on the estate. The aunt’s son, an odious boy slightly older than Jane, stalks her. He is Jane’s first victim. Yes, Jane is a murderess. There are more victims after Jane is thrust into a horrid boarding school and then out into the horrid, unpitying streets of London. She has no money and no patrons, but she does have ingenuity and a strong will to survive. A portion of the book is given to how Jane survives child- and early adulthood, and it is the better part, in my opinion. How like Dickens’ clever waifs and naifs she is. The rest of the book describes an adult Jane’s return to Highgate House, the estate of her youth. The current residents are Charles Thornfield, a Heathcliff-like lord of the manor; Suhjara, his half-Punjabi ward; Sadar Singh, his Sikh butler; and assorted people brought from India. Jane has returned disguised as a governess for young Suhjara. “Jane Steele” is mannered and highly romantic. It comes with heaving bosoms and dark eyes. It has exotic touches and very Dickensian circumstances. 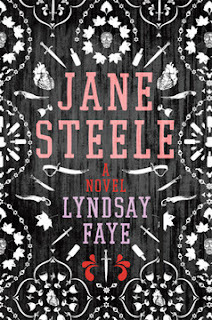 “Jane Steele” has been nominated for an Edgar Award for Best Novel. Rennie Airth’s series has covered two wars and a family saga. When the series began in “River of Darkness,” John Madden was just back from serving in World War I, a traumatic experience from which he had not recovered. Nevertheless, he returned to his job as a Scotland Yard detective. In subsequent books, Madden acquired a wife and two children. The children grew into adulthood, and Madden retired from his job. 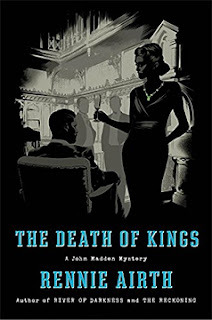 In “The Death of Kings,” on behalf of another retired detective, Madden has taken on the task of checking to see if an old case was correctly solved. A man was hung for murder, and there is a slight chance he was innocent. There is one thing obvious from the five books in the series: Madden cares deeply. He is an honorable and diligent man. His family is important to him. He is loyal to his friends. It is one of his friends, his old boss, also retired, who calls Madden to look into the eleven-year-old murder of an “actress.” She had been a guest at the estate of a man whose family business was based in Hong Kong. She was murdered in the woods behind the mansion and the jade necklace she had been wearing disappeared. Now all these years later, in 1947, someone has anonymously sent the missing necklace to the local police. Suddenly it is not so obvious that the man caught and executed for the murder was guilty. Trying to step on the least number of official toes, Madden begins the delicate dance of investigation. He interviews the mistress of the lord of the manor, since deceased. He visits the lesbian lover of the actress. He finds the son of the lord of the manor, now with a wife and two children. He hunts for a mysterious part-Chinese resident of Hong Kong, the man who accompanied the actress on the fateful weekend. There are many revelations made, all of which had been kept hidden because a suspect was caught so swiftly. Now, with a more thorough investigation, they are all rising to into light. Chinese tongs, prostitutes, blackmail, secret compartments, mistresses, and an effulgent and gossipy daughter are all now part of the mix. I enjoy Rennie Airth’s books. I like the premise: an upper-class, landed gentleman solves some sordid crimes as a detective for Scotland Yard. I like the more detailed, nuanced, and morally ambivalent take on a very English-styled mystery. I like Madden and his team. I like this book. Except for one thing, which requires a **spoiler alert**. Oh, well, I guess them’s the literary breaks. If only Owen had been of sufficiently higher rank to warrant at least an ambiguous, public vindication. For a book that moved very slowly, I was on the edge of my seat. For a spy novel, it wasn’t really about spycraft. For a book about one man and his long life in the shadowy world of reading the world’s politics, it was not very long. The life of “John Harper” begins in chaos, travels through turmoil, and emerges in a twilight of lost opportunities. 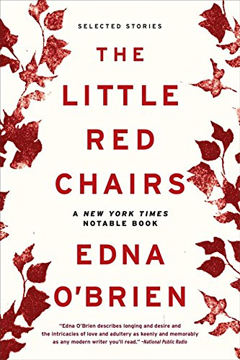 His full story reveals itself very slowly throughout the novel, but I don’t think it substantively spoils the reading experience to give a little information gleaned from the interleaving background. Harper was born Nicolaas Den Herder in a Japanese-run internment camp in Sulawesi, (in what became) Indonesia. He is part ethnic Indonesian and part Dutch. He and his mother live under the cloud created by the deprivation of that time, its repercussions traveling to when Harper is old and mulling the potential end of his tenure with his organization and maybe of his life. Everything is about change for Harper. Just when happiness is within his grasp, he loses it. Just when he has the tokens of respectability and responsibility, he sabotages it. Although he has known love, it is hard for him to countenance it, since it (and he) forever teeters on an abyss. Louise Doughty has created an excellent psychological study of a man who is desperately searching for a self with which he can be at peace. Because Harper looks neither white nor Indonesian, his work flips between the two worlds. His rudimentary Indonesian is force-fed language lessons, and he is shipped off to Jakarta as an agent for a private corporation that helps organizations with “discreet services.” Unfortunately, that time is during a dangerous and volatile time in Indonesian history (1965). Suharto and his hunt to eradicate Communists (and Sukarno) draw civilians into their fight, causing untold deaths of people who just want to be left alone to fend for their subsistence-level lives. Harper’s involvement in this event scars him, but we don’t find out the true level of his pain until the end of the book. The anchor for “Black Water” is Harper’s story in 1998, when he is in his 50s. He has returned to Indonesia and is paying penance on Bali for some indiscretion, which we gradually learn about. Doughty’s description of life in Bali is evocative. She depicts a very non-Western culture, as seen by a mostly Western man, and creates something that is both exotic and quotidian. The CIA is never named. Other world shadow organizations are never named. Big chunks of Harper’s covert activities are not elucidated. But Doughty hangs their looming presence over the book. 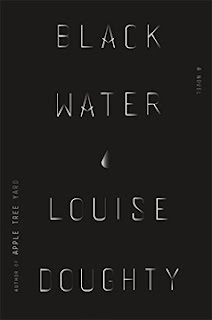 “Black Water” is reminiscent of Graham Greene’s languorous yet compelling “The Quiet American.” While the spy part of the book is there, it almost is secondary to the exercise of style and literary-ness in the telling of a romance, moral ambiguity, and childhood trauma. Here’s an MBTB star, especially for a zinger of an ending! Ninety-five percent of “Fall From Grace” by Tim Weaver makes a great psychological thriller/crime fiction. It’s the five percent that comes at the end that dispels the hypnotic haze. 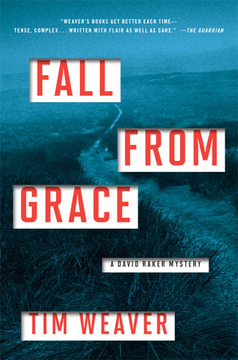 Series star, London private investigator and former reporter David Raker, specializes in missing persons. His newest case (the fifth in Weaver’s series) is unusual for many reasons, not least of which is his client. DCI Melanie Craw and he have a checkered history. They have butted heads, most recently about eighteen months ago on a case which left a residual bad taste. But it is to Raker that Craw comes bearing a personally painful case. About six months previously, her father, Detective Chief Superintendent Leonard Franks, late of the Met, disappeared. Franks and his wife, Ellie, moved to a remote Dartmoor house after his retirement. Somewhere on his way to the close-by lean-to to get more logs for his fireplace, he vanished. Victim to the bog that bordered his house? Captured by revenge-fueled criminals? Dementia? Money problems? Done in by his wife? For better or worse, Craw has come to Raker as a last resort. The police have hit a wall, and Craw has been threatened with censure if she continues a personal investigation. Wary of Craw’s request and whether she is in fact laying all her cards on the table, Raker nevertheless accepts her case. The first thing he learns is that Craw suspects her father privately was working on a cold case. The more Raker investigates, the more he thinks it has something to do with a woman named Pamela Welland who was murdered in 1996. (The story’s current story takes place in 2013.) It is while raking through minutiae that he turns up little anomalies and clues not noticed by the cops which further drives his investigation. Raker can tell he is making progress when he finds he is being shadowed, threatened, burgled, and beaten. His most difficult problem is to tell who is a reliable source, whom can he trust. Perhaps not even Craw falls into that category. How about Franks’ loyal colleagues, Carla Mahoney and Jim Paige? They meet with Raker and in many ways he is no better off than before. But one of them provides him with his breakthrough lead: Pamela Welland. The more Raker investigates Welland’s death, the more puzzled he becomes. There doesn’t seem to be anything untoward about the case. Her murderer was caught swiftly, he confessed, end of case. This is where Weaver does an excellent job: laying out the crumbs for the circuitous trail Raker must travel. The topmost mystery, what happened to Franks when he stepped out of the house, is brilliantly played. As the case begins its final resolution, however, there is a high coincidence factor that makes a “big swallow” moment. It is the only thing that prevents an MBTB star recommendation. FBI agent Carla Windermere has revved her engines and hunted all sorts of perps in four previous books by Owen Laukkanen. “The Watcher in the Wall” is the fifth and the one with the most personal resonance for Windermere. Although she grew up in Florida, Windermere, along with her partner Kirk Stevens, is headquartered in the Twin Cities in Minnesota. Because of her prior successes, she is known as the “supercop.” She even has a boyfriend, another agent, Derek Mathers. She is pretty well acclimated by now. And happy, as much as it is within her capacity to be. A schoolmate of Stevens’ teenaged daughter committed suicide. Adrian Miller had an Internet partner, another teen interested in suicide. Adrian gave this teen the courage she needed to commit suicide herself by going first. And by streaming it via webcam to her. The connection is brought to light when Adrian’s computer is laid bare by the FBI. It’s also brought to light that Adrian was bullied at school. Shunned by all, physically abused, Adrian’s only solace was the suicide forum. After he is dead, it is too late to tell him that he has been conned. Windermere, it turns out, has a personal reason to want to catch whoever is taking advantage of vulnerable teens. It’s a poignant remembrance that brings Windermere to her latest mission, and she takes off with a vengeance. 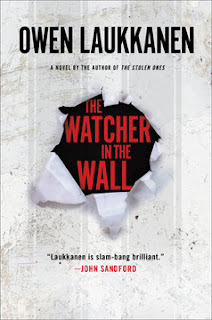 “The Watcher in the Wall” is a thrilling cat-and-mouse game between the anonymous cyberbully and the FBI. It’s an uncovering of the anguish of teens who are judged lowest on the social totem pole. It’s a soul-wrenching search by a woman with a dark shadow in her past. 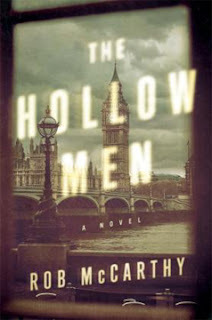 You may find yourself qualified to practice medicine after having read “The Hollow Men,” the debut novel by British author and medical student Rob McCarthy. In the fashion of “CSI, et al.” and “Law and Order, et al.,” McCarthy gives you a massive amount of medical details. It sometimes slows his story down, but I can see it appealing to information junkies who like to know the how of forensics in crime novels. Working backwards, let me now go to the particulars of the book. Dr. Harry Kent is an anesthesiologist by trade but pretty much seems to haunt the ER (or A&E, if you’re British). That’s because of his part-time role as a Force Medical Examiner, or police surgeon, a misnomer carried over from the old days and still informally used. Kent first meets Solomon Idris, a seventeen-year-old ex-gang member who is waving a gun and holding people hostage in a fast-food eatery, in his police capacity. Solomon has a story to tell and demands to be heard by a reporter. Unfortunately, there is something medically wrong with him. He is feverish and has a severe cough. Harry is exchanged for several hostages so he can take a look at Solomon. When the police hear a shot, they assume Solomon has fired his gun. They rush in and a rookie on the siege team shoots Solomon. In fact, he has not fired his gun and is now bleeding to death, in addition to having pneumonia. While Solomon is in a medically induced coma, someone deletes an allergy notation from Solomon’s record and this almost kills him. This piques Kent’s interest more and fuels his already loaded sense of outrage. He is attracted to lost soul cases, having appointed himself guardian angel to another long-term comatose patient whose identity is unknown. One more won’t hurt. Teaming with another lost soul, DI Frances Noble, they try to determine what Solomon’s story was. Kent figures it has something to do with the death of Solomon’s girlfriend, who stood in front of an incoming train to commit suicide. That thread leads Kent and Noble into a dark world of other lost souls, society’s teenage throwaways. Part of Kent’s emotional baggage is his relationship with another doctor, James Lahiri, who was his best mate in medical school and who served in Afghanistan with him as part of a medical corps. Lahiri saved his life in Afghanistan, but now they are estranged. That story and the slow reconciliation of their friendship are a moving part of the book. The reconciliation is strained when it appears that Lahiri may know something relevant to Solomon’s circumstances but doesn’t choose to share it. Kent and Noble take a few steps forward and then a step back, as they try to sort out the relevant information from the extraneous. 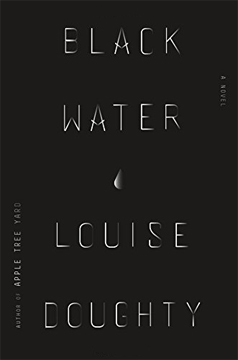 While I enjoyed the book overall, there were moments when the pace seemed underwhelming. Kent’s moments of sudden rage were odd sometimes. So were Noble’s. I understand they were both victims of violence, of loss. Kent certainly had PTSD, including the nightmares, the moments of helpless rage, and the feeling of alienation from other people and ordinary situations. But the integration of Kent’s mental difficulties into the story might have been more developed. However, make no mistake, this is a recommended read for the interesting plotline and the potential for future stories of Kent and Noble. If you are looking for something … different … here are some excellent books, even if they aren’t in the crime or mysterious vein. Having made the above statement, let me say that this book begins with the arrival of a mysterious stranger in a little town in Ireland. At the age of 85, Edna O’Brien is still amazing. Her tone and style are contemporary, her descriptions flawless, her look at the highs and lows of humanity humbling. 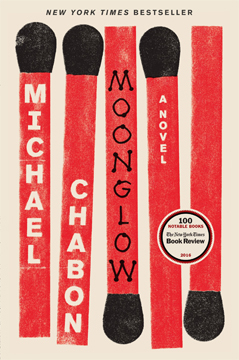 While labeled a “novel,” Chabon doesn’t hesitate to name the narrator after himself. The story of the narrator’s grandfather is a fantastical embellishment grounded in some authorial truth. Wondrous writing, startling humor, and a pet-eating snake. 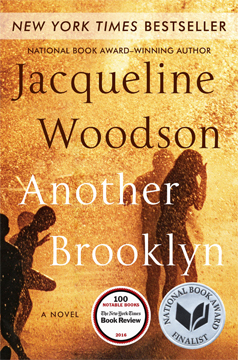 Better known for her children’s and YA books, Woodson has written a superb adult novel, set in the Brooklyn which has provided a background for her before. Four preadolescent girls come together as friends during a turning point in their lives. Lyrical and masterful. If you were moved by “Things Fall Apart” by Chinua Achebe, you will be by this book as well. Colonialism brought immense changes to Africa. 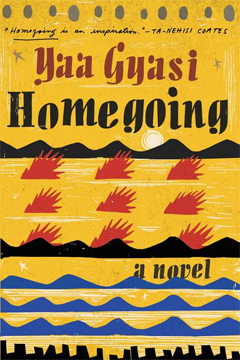 “Homegoing” deals with how the trading of human beings into slavery affected two girls/women from one family in a Ghanian tribal community and their descendants.